Tips for winning Free No-Limit Poker Games! Start Winning at Online Texas Holdem Free Internet Games! If you are looking for free no-limit poker games and online texas holdem free games on the internet, then this article will show you where to find the best free download for texas holdem and the best free poker games offered online. 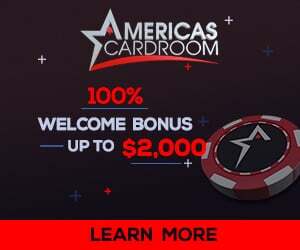 Did you know that many online poker sites offer free entry, no cost no-limit texas holdem poker games every day in an effort to attract new players to their online poker room? It’s true! Some online poker rooms spend thousands of dollars offering free texas holdem poker games and tournaments in an effort to lure more players to their site. If you are new to online poker and looking for a place to play free no limit texas holdem then this article will show you the best choices on the internet as well as provide an indepth article giving you tips to WIN in free no-limit poker games and strategy that is designed specifically for freerolls. Common Online Poker Freeroll Mistake # 1 – Following the pack and playing too loosely. Early in a freeroll, especially one with an above average-sized field, it is the norm to find players “All In” with any two cards. It is amazing to watch K-3 and 8-2 call an all in. Worse yet, is watching those hands win an all in! Keep your sense of humor and retain your patience level. These poker players are playing with an “all or nothing” mentality and will eventually be their own worst enemy. Make note of the particularly loose players and use those notes to your advantage when called for. Early in a freeroll event, tighten up your starting hand requirements. Keep in mind that any cards you go into a hand with may very well end up costing you your entire stack. Make sure you have premium hands in case the loose players make a move. Even a strong raise early may not deter these loose players. Keep your sense of humor and realize that there is no respect for a tight-aggressive player early in a freeroll tournament. It can be very easy to get frustrated during a freeroll when your starting cards are horrible. Playing “any two cards” starts to sound reasonable as you see so many players at your table succeeding with that mentality. Avoid this temptation at all costs. You primary goal of any poker tournament is survival. Protect your stack early and avoid butting heads with the loose players at the table. They will be gone soon enough. Avoid online freeroll mistakes by playing premium starting poker hands early in the event or hands that can flop huge if you can see the flop for cheap (such as two suited connectors in a multi-way, non raised pot. Multi-way means at least 3 other players calling to see the flop..
Common Online Poker Freeroll Mistake # 2 – Failure to Adapt as Play Changes. Players drop out quickly in most online poker freerolls leaving the better players and the lucky players behind. This is the time in the freeroll to start to change your game slightly. Notice that betting becomes more reasonable and raises tend to be met with more respect. If you have been playing tight early in the freeroll, the better players will have noticed. This is your opportunity to take advantage of your reputation at the table and make some moves. While survival is still your key motivator, collecting chips is imperative now. Blinds will be going up quickly and you will need a decent sized stack to survive through the bubble.The smaller stacked loose players at your table are your prime target. These loose players will still be looking to make a move in order to double up and this presents you with an opportunity of free chips. This is known as “changing gears”. Changing your game to adapt to the situation. Common Online Poker Freeroll Mistake #3 – Losing Focus. Online freeroll tournaments can last hours and the ability to retain focus is of the utmost importance. It is imperative to capitalize on opportunites to increase your chip stack. One lapse of judgement can cost you the tournament. It is possible that you will be moved to a new poker table every other hand or so and new players will be moved to your table just as often. Watch the hands you are not involved in and take notes. Also, try and remember the hands you have played with these players. It is just as important to know your own playing reputation at a table as it is to be aware of other players styles. If you have been “caught” playing only premium hands, it may be time to change up your game and capitalize on that reputation. Retaining your focus will help you make good decisions when faced with these choices. Online freerolls will have breaks every hour. Take that time to get up from your computer and move around. Get the oxygen flowing and blood circulating. Just a few minutes up and about can help you come back to the poker tournament feeling refreshed and ready for battle. Retain your focus throughout the entire poker event. By combining patience, focus, and a strong poker strategy, you can enjoy more success while playing online poker freerolls. Make a mental note of these three common freeroll mistakes and avoid them in your game. We wish you the most success possible at the tables.